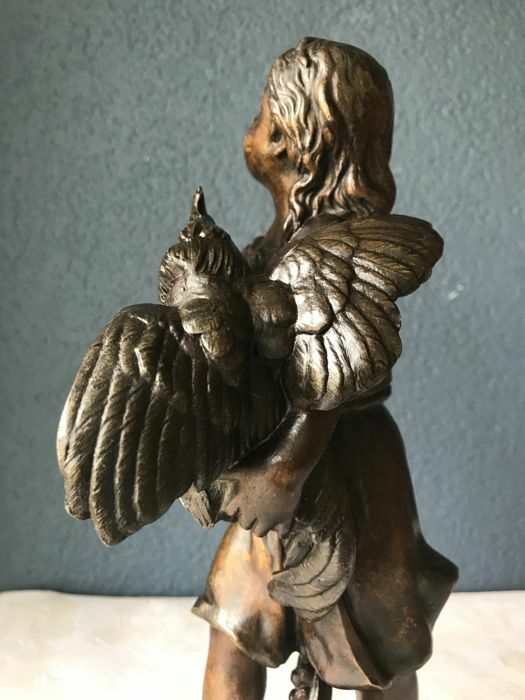 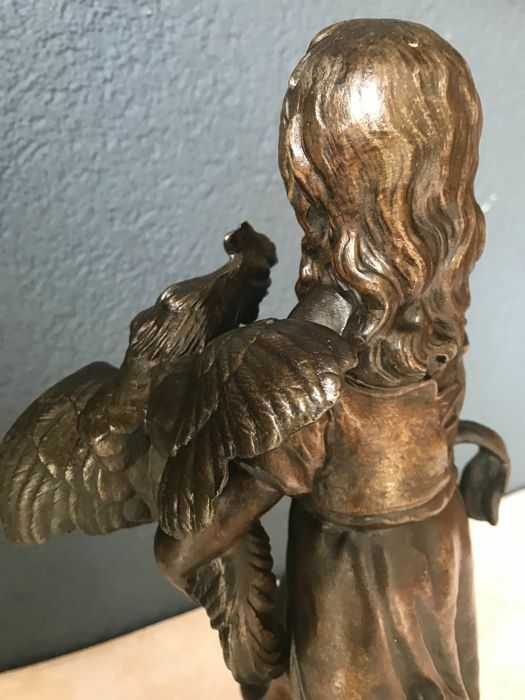 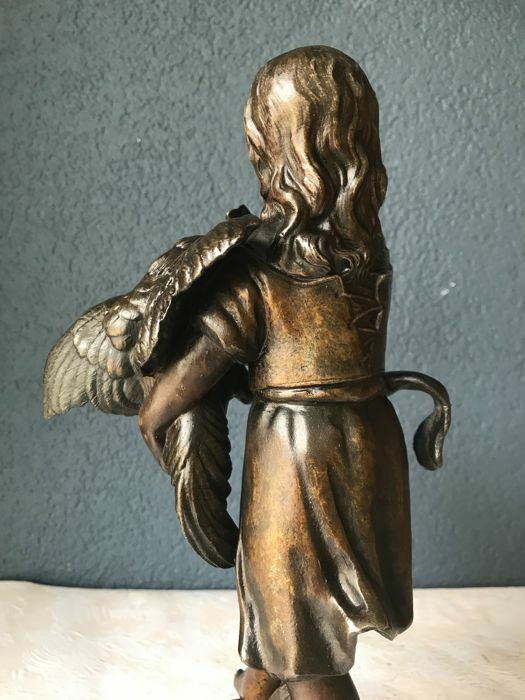 Bronze patinated zamak sculpture, detailed finishes. 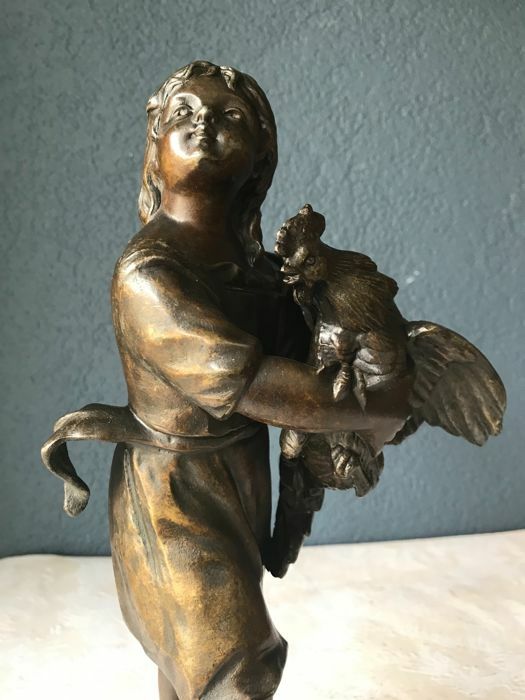 This is a portrayal of a girl with a rooster. 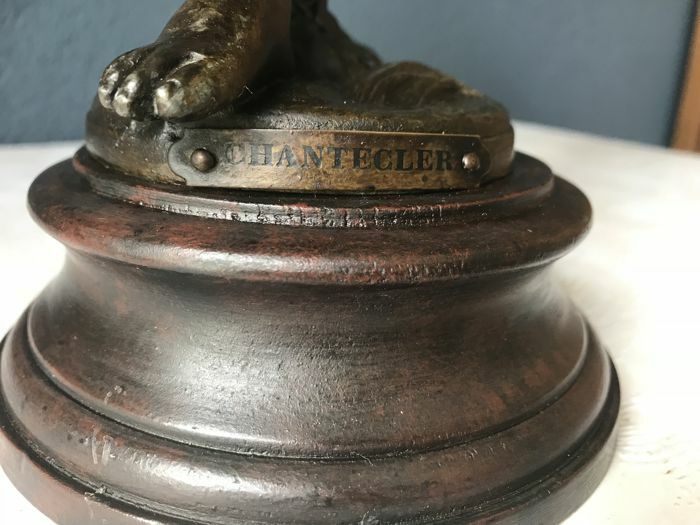 The sculpture has the title "Chantecler", the rooster from Renart and Chantecler. 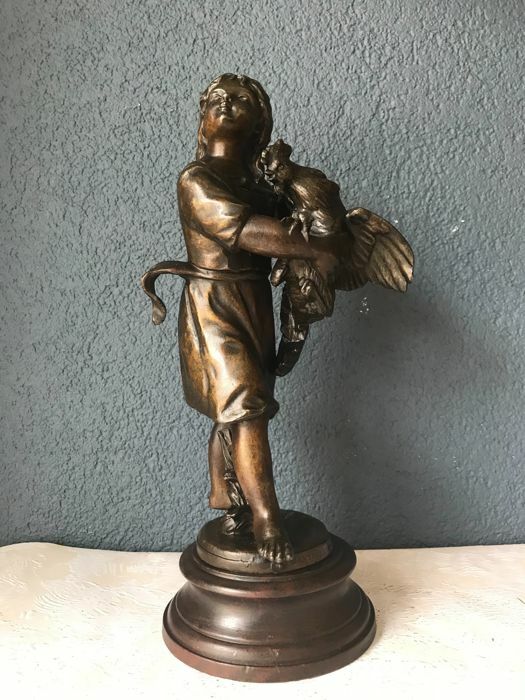 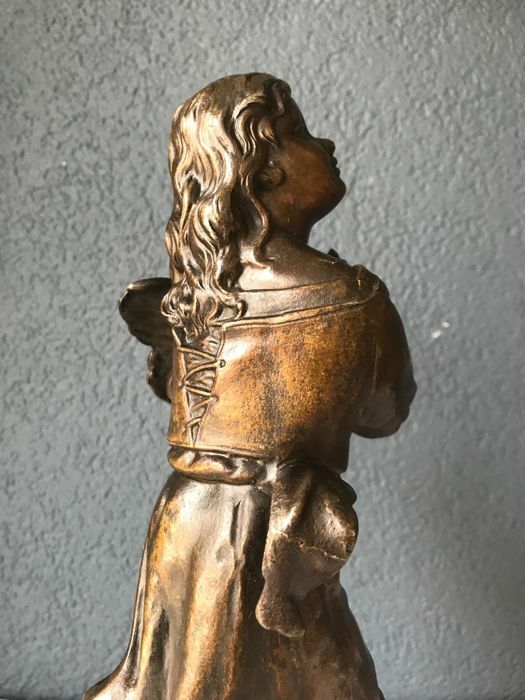 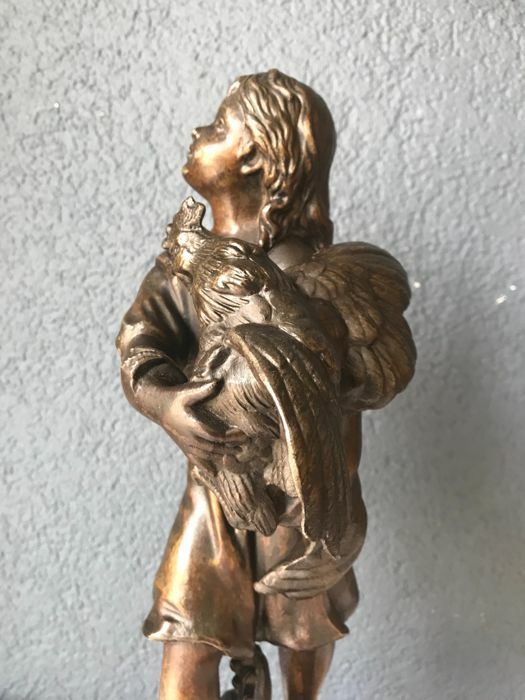 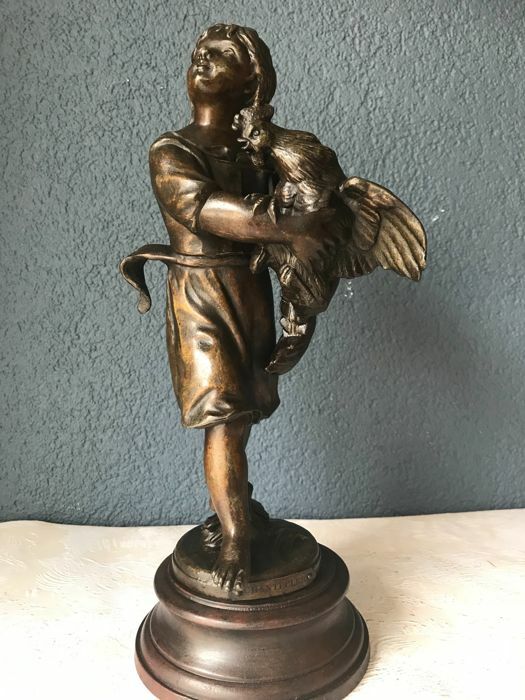 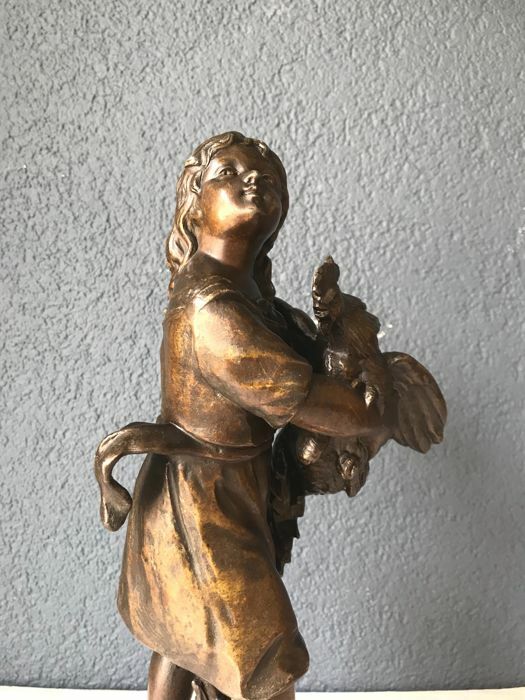 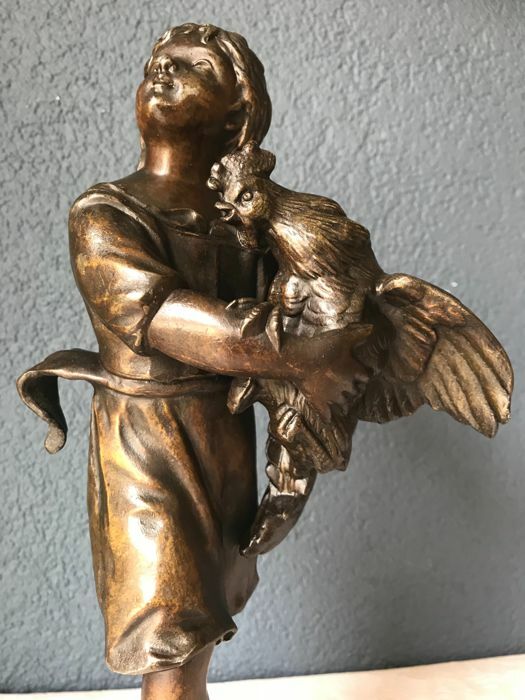 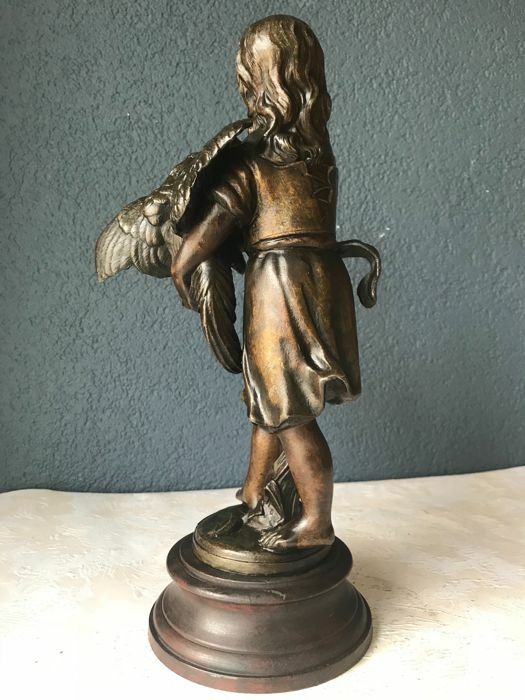 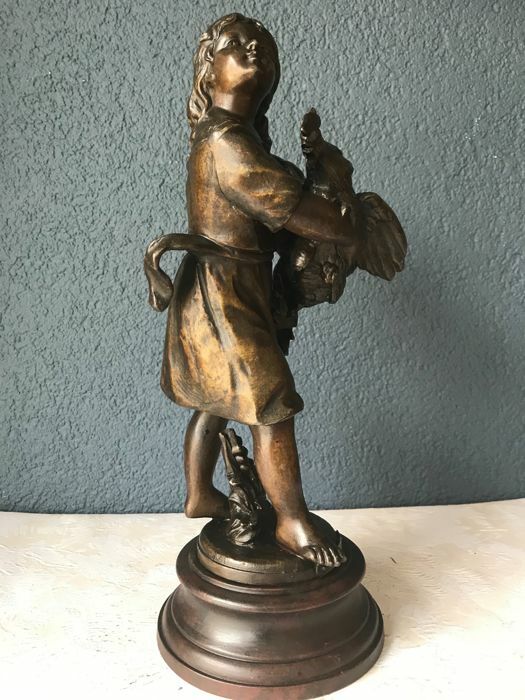 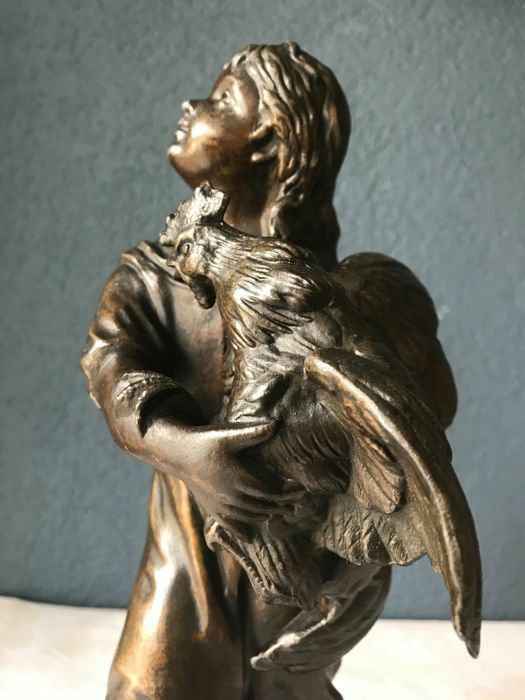 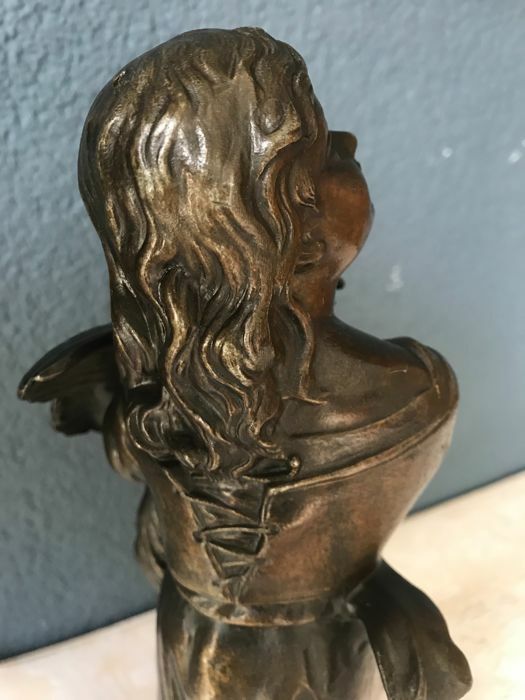 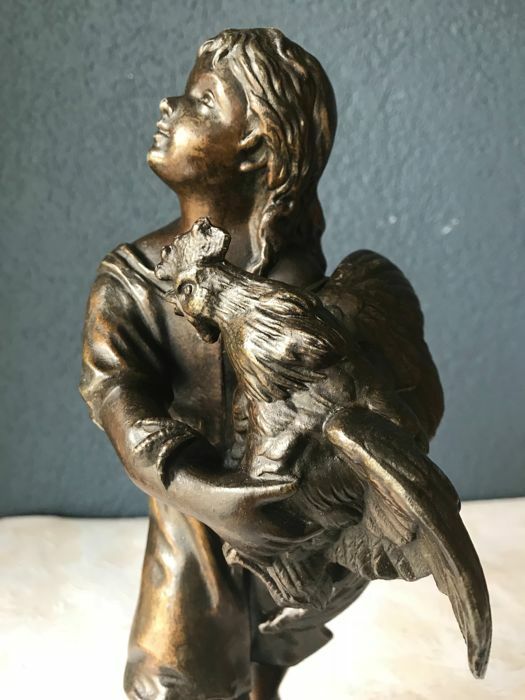 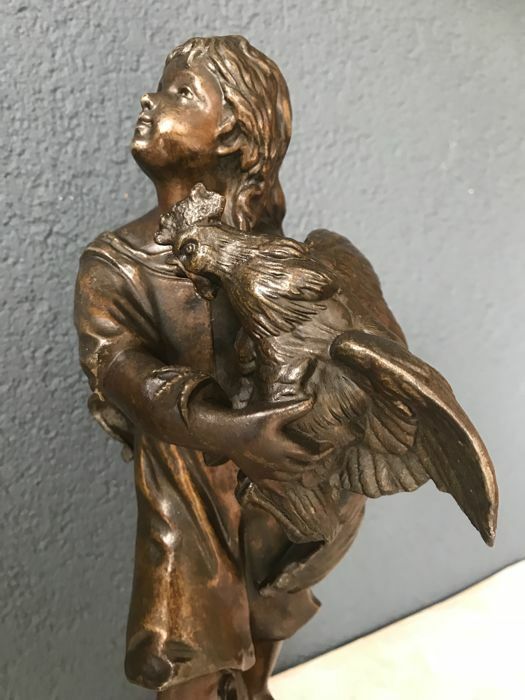 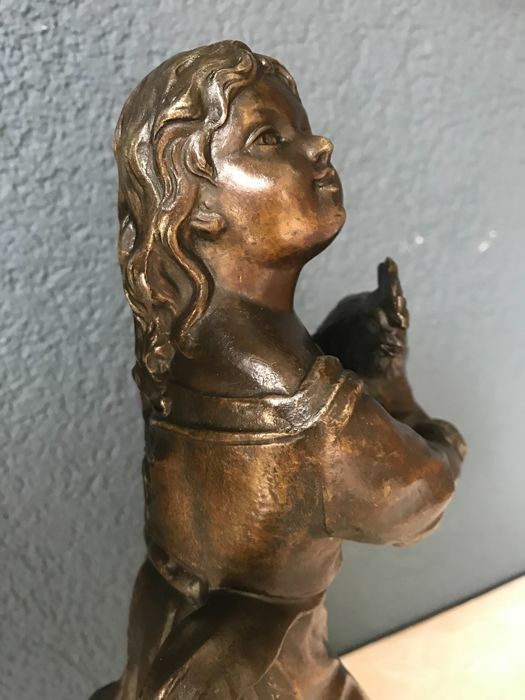 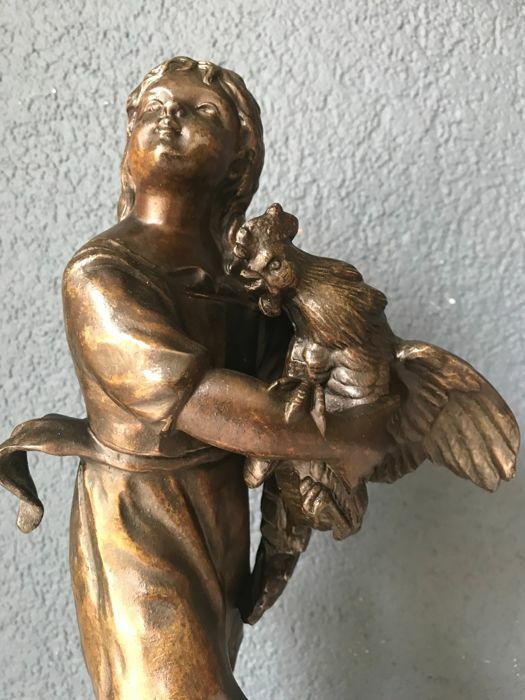 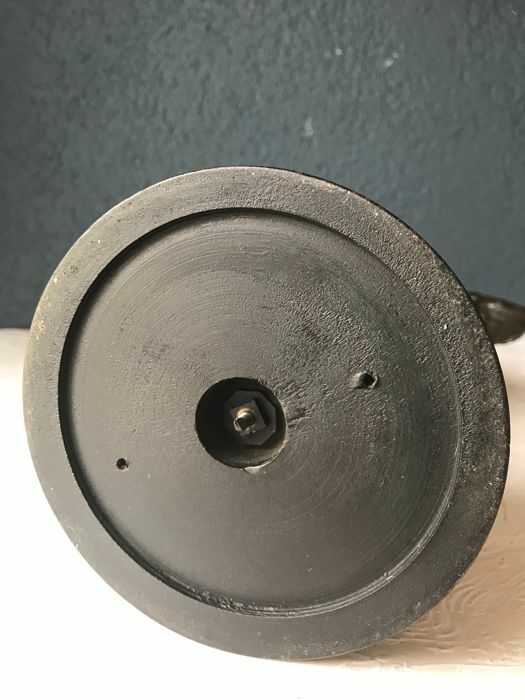 The sculpture has a beautiful patina and stands on a wooden base.